Chris Hardwick on Talking Dead. Following a “comprehensive assessment by AMC,” the network has decided to bring back host Chris Hardwick to the network. This comes just over a month after allegations surfaced claiming he emotionally abused and sexually assaulted his ex-girlfriend, Chloe Dykstra. 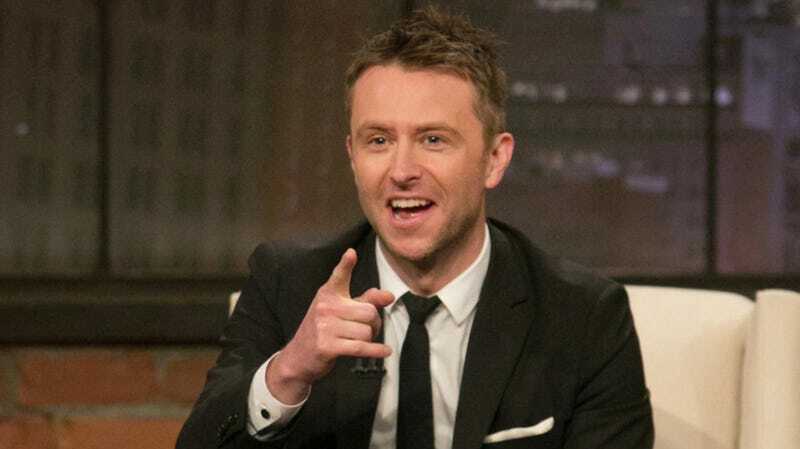 Last month, the allegations (which Hardwick has denied) resulted in him being removed from his annual hosting duties at San Diego Comic-Con, the postponement of his AMC talk show Talking with Chris Hardwick, and temporary replacement on the Walking Dead aftershow, Talking Dead. The allegations originated from a Medium post written by Dykstra in which she recounted abuse by an unnamed significant other. While she did not name Hardwick in her writing, he addressed the posting in an official statement to Deadline in June. Today, AMC has decided to bring Hardwick back after it conducted an investigation into the matters. AMC released the following statement to the Hollywood Reporter. The host will return to the network on August 12, when Talking Dead returns after the new episode of Fear the Walking Dead. Yvette Nicole Brown, who took over for Hardwick at Comic-Con last weekend, is still expected to host the Talking Dead special she was announced for but will now just be a guest on the August 12 episode of the after show.